Each transaction is tailored around each client's individual wants and needs. I provide quality marketing, tools and research to secure top market value in an efficient time frame. Our homes are one of the greatest emotional and financial decisions we make. I place high value on honesty, communication and trust to support your vision and give you confidence when buying or selling your home. As the daughter of a home builder, Michelle loved to estimate a home's square footage and price before any of her friends knew what a realtor was. After studying design and business at Oregon State, Michelle landed her dream job and it shows. She brings energy, excitement, and dedication to each client and transaction. Michelle is a tireless worker and a true advocate for her clients. Working with buyers, she is always in your corner and makes sure you know when your dream home has hit the market. 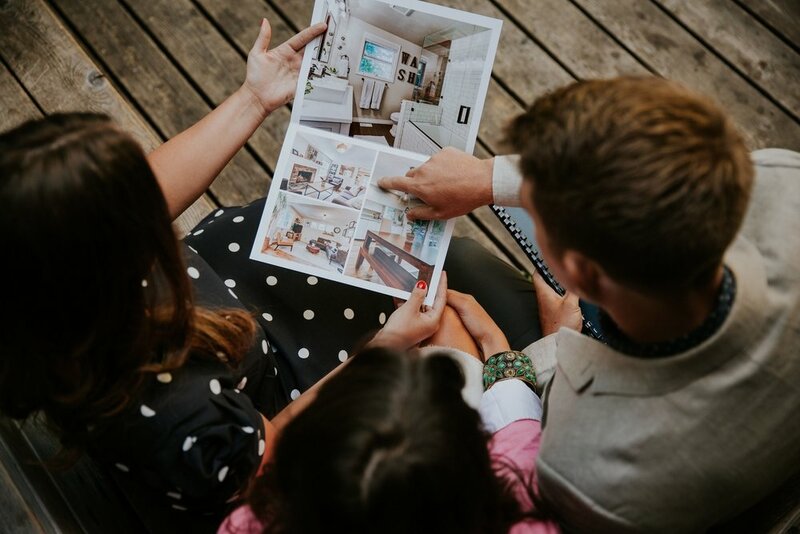 When you're ready to list your home, Michelle has a keen eye to help prepare your home for market, and an expert negotiator to help you get top dollar. A third generation Portlander and close-in resident, Michelle continuously fall head over heals for this city. Inspired by our outdoor playground and endless exploration opportunity. When not home hunting, you'll find Michelle brunching on the west side, brew-hopping on the east side, or intentionally lost in Forest Park with her 4 legged side-kick. Allie's incredible customer service and communication makes her a true asset to clients. Allie fell in love with real estate after buying her farmhouse dream home. Her and her husband spent a lot of time designing and remodeling the interior, and updating the old systems. She loved the experience and everything she learned is invaluable knowledge to clients. Matt brings a unique strength to clients with broad experience in economics, finance, marketing, research, design, and commercial real estate. As a born and raised local, Matt knows the different neighborhoods and vibes well as he's lived in every corner of town and has an affinity for trying new coffee shops. With a penchant for design and equity, Matt helps investors and makes sure our listings are marketed better than anywhere else. I cannot say enough good things about Michelle McCabe! She is an amazing, knowledgeable, patient, thoughtful, courteous, flexible realtor and I would recommend her to anyone looking for their perfect home. Michelle assisted our family in finding a home during a very challenging market in Portland... We searched for several months and inventory was at an all time low. Michelle was patient and was optimistic all along that our perfect home was out there. She was never pushy, in fact quite the opposite. She was honest when she felt like a home wasn’t a “fit”.